The Culling of a Comics Collection, Chapter 1 « Midlife Crisis Crossover! I’e been full-on collecting comics since December 1978, when my mom gave me permission to begin adding a few to our grocery cart each week. Around that time DC Comics had recently jacked up their prices to a whopping forty cents while Marvel’s covers bragged “STILL ONLY 35¢!” to any discerning kiddos who were also Consumer Reports subscribers looking to save pennies wherever they could. And thus was my lifelong hobby born. Forty years later I’m up to 51 longboxes holding some 20,000 comics. Our library room is out of space. Hoarder piles are growing and leering at us. Something has to give. At some point last year I decided it was time to make like Thanos and finger-snap at least half of them out of my existence — good or bad, mint or yellowing. I won’t be getting rid of everything, but the chances of me sitting down and taking a few years to reread every single issue I own are absolute zero. Some still hold meaning for me. Many of them don’t. I don’t do New Year’s resolutions, but after January 1st the idea grew more serious in my mind of becoming that dreaded parent who throws away their comics collection and then tells their children about it after it’s too late for them to do anything about it. My mom committed that very deed in her teenage years and ditched a lot of Superman and Lois Lane Comics that could’ve substantially improved my lower-class upbringing if she’d had more foresight or had any friends who were dealers. 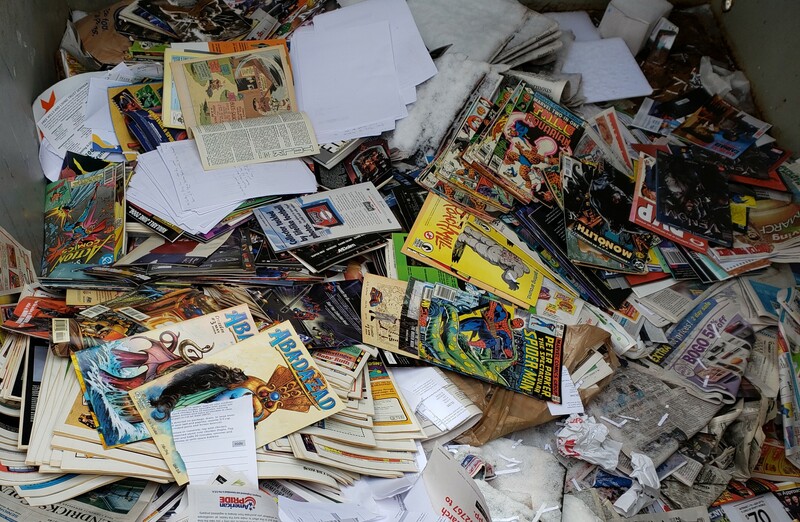 When you drop off bales of paper goods in those big fundraiser recycling dumpsters, are they okay with plastic bags or do you have to take the comics out of them first? …which got zero responses. When I’m not live-tweeting a TV show or a convention, zero is my average Twitter engagement stat. Disappointing but unsurprising. During this past year I did come to one sad realization: I need to own fewer comics. Our home’s designated library room is running out of storage space and we have no interest in paying for additional square footage just to enable more hoarding. I also have no interest in spending hours per night eBay-ing my collection, which would equal a second full-time job unto itself. I’m unenthusiastic about the idea of seeing if any local fans might be interested in buying multiple longboxes’ worth from me all at once. I’m not sure hospitals, charities, or Goodwill would care to have me drop several thousand floppies on their doorsteps dumptruck-style. After forty years the drawbacks of my hobby are finally beginning to vex me. I’m also reaching that age where I find myself wondering: when I pass away, how much complete-lack-of-fun will it be for my loved ones to find themselves faced with a parting gift of tens of thousands of funnybooks that mean absolutely nothing to them? …again, zero responses. Either everyone thought I was bluffing, everyone thought it was an awesome idea, or my words dissipated unread in the internet aether, lost in time like tears in rain. That particular entry was the lead-off for a miniseries in which I detailed my ongoing efforts to drop titles and lower my weekly comics intake. So far, mixed results. That leads me back to option 1, which I kicked off this weekend with the act shown above. …we’ve been busy lately, so that’s as far as I’ve gotten with the elimination process. When time permits, I’ll resume the review with All-Star Superman (which will likely make the cut) and trudge onward from there, the Four-Color Grim Reaper seeking his next victims. To be fair, this may be my largest pruning effort to date if I follow all the way through, but it isn’t the first time I’ve thinned the herd. During my young-stupid-male phase I ditched two longboxes’ worth of unwanted comics when moving from childhood townhouse to deadly apartment to less deadly apartment, but couldn’t bear to part with the majority, much to the chagrin of my son’s mom. It wouldn’t be the last time we disagreed on my collections, but that’s a head-shaking, pre-divorce tale for another time. When Anne and I became first-time homeowners in 2007, I took four longboxes to the only Half-Price Books location on our side of town that offered cash for comics. They pay decently for books, trades, DVDs, and CDs — better than a yard sale would, anyway — but not so much for single issues. Those four longboxes only earned me $32, and they admitted up front that was for 24 specific comics, composing two extremely high-profile mid-’80s series they knew they could resell regardless of condition. That’s otherwise two whole pennies per comic. And maybe not even shiny pennies. To be even fairer, Anne went through this first. Until we married, among her pride-and-joys was a gigantic collection of TV Guide dating back to her own childhood. In addition to space issues, they were kept in appliance-sized boxes nearly impossible to move as-is, let alone store in my apartment after our wedding. Thus she did then what I’m embarking on now, albeit at a slower pace and nearly fifteen years behind. She still has regrets, but there’s a certain point when when collections can become just…so much stuff. So, this past Sunday morning, then, I did the deed. I completed that first recycling donation. I thought it would hurt more, but the truth is they’re about as unread now sitting in that fundraiser recycling bin as they were in our library. At least now their tonnage can be redeemed for funds that’ll go toward charitable efforts. I stood there long enough to take the photo, then went to a restaurant for a snack and some reflection. When I walked in to the lobby, the overhead Muzak poked at me with the pretty acoustics of Tom Petty’s “Wildflowers”, the same song used on Parks & Recreation for the exact scene where Chris Traeger and Ann Perkins left Pawnee for good, and Rob Lowe and Rashida Jones ended their run as series regulars. I quietly misted up a little at the mild parallel. It wasn’t an easy decision to chuck the cumulative reading experience of hundreds of writers and artists I’ve enjoyed, or consumed, or endured over the years. Some were bought out of love of the medium. Some were monthly clockwork fixes, a habit I fed whether they brought me joy or not. I’m still getting my weekly fix of new works on Wednesdays at my local comic shop, but if I time this right, the outgoing bales should outpace the incoming singles, and eventually we’ll bring balance to our library. Long-term goal: if we can at least halve my collection’s square footage, we’ll finally have space for more bookshelves. So it’s not like I’m quitting reading. I’m just making the conscious choice to stop holding on so long to all those hundreds of pounds of things I’ve already read. Thus the old shall make way for the new, and no Avengers need die in the process. Maybe just a few dozen Avengers back issues. I read about your Comics Collection with a lot of interest. I grew up in the age of Comics also, when they were 40 cents. 1. Put it out there that you’ll mail a “Mystery Bag “ of comics ( in a mailing envelope ) to anyone who sends you 5 dollars. Probably this would cover the cost of 3-5 Comics in an envelope. 2. Go to a Comics Convention- there are a few around ; not just Comic-Con. Put a basket near their entrance with a “ FREE” sign on it there. 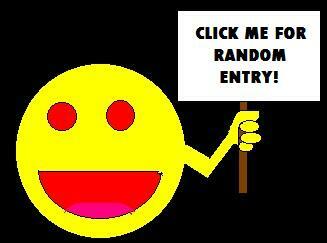 You can also put an ad in a local free paper that you are giving away free comics (limit?). These small papers usually don’t charge for Free items. I know what Comics meant to people years ago, before color TV, special effects in movies, and books we all had to read in school that had little or no pictures. In these ways , they can maybe catch someone else’s imagination like they did for us. I appreciate the ideas! We may be going a different direction, though. My son finally got wind of my plan, had a bit of a meltdown, and has now offered to see what he can do through his own online resources to possibly find new homes for my soon-to-be-relinquished oldies. But if his idea of a sequel to this entry doesn’t pan out, I’m definitely keeping your ideas in my pocket.